This is how food is meant to be eaten. Who has time to sit down and eat a meal in 2011? This isn’t 1950, where people actually sit down for dinner any more? Why sit down and eat a plate of ribs, when you can walk and eat on your way to your workout. Then, just wipe your face on your sleeve. You don’t see animals eating their meals in one place do you? Do we think we are so much better than them? 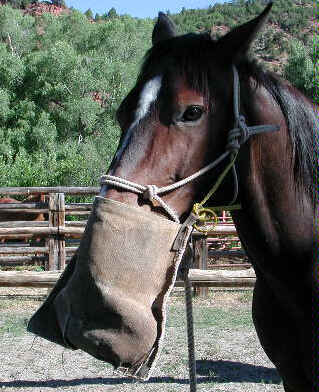 I think it would be a good idea to just strap a feed bag around your head so you can chow down at all times.